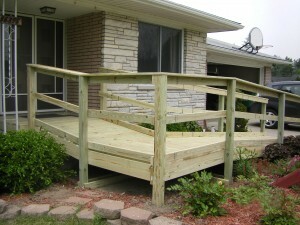 Universal Design is a key service we offer at Haase Construction. Also referenced as Age in Place or Handicapped Accessible, Universal Design encompasses the services families and organizations need to make buildings inherently accessible for individuals with physical limitations or those who are of a mature age. We take this very seriously and have undergone extensive training to make sure we are offering all the help we can to families who need our help in this area.